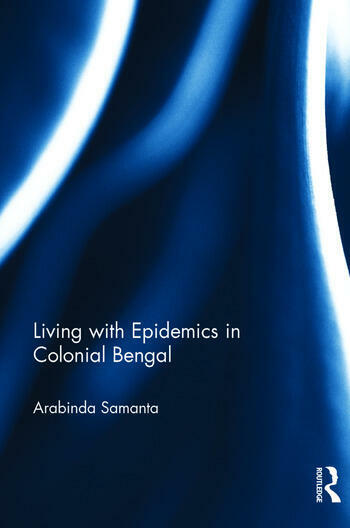 Making epidemics in colonial Bengal as its entry point and drawing heavily on social, cultural and linguistic anthropology to understand the functions of health experiences, distribution of illness, prevention of sickness, social relations of therapeutic intervention and employment of pluralistic medical systems, the book interrogates the social construction of medical knowledge, politics of science, and the changing paradigm of relationship between health of the individual and the prerogatives of larger colonial economic formations. Smallpox, plague, cholera and malaria which visited colonial Bengal with epidemic vengeance, caught the people unaware, killed them in thousands, and changed the society and its demographic structures. The book shows how sometimes through mutual adaptation but more often by cultural contestation, people pulled on with their microbial fellow travellers, and how illness became metaphor for the social dangers of improper code of conduct, to be corrected only through personal expropriation of the sin committed, or by community worship of the deity supposedly responsible for it. As a result, Western medical science was often relegated to the background, and elaborate rites and rituals, supposedly having curative values, came to the forefront and were observed with much community fanfare. Epidemics were also interpreted as outcome of politically incorrect moves made by the ruling power. To right the wrongs, people very often resorted to social protest. The protest by the literati went sometimes muted when its members seem to be beneficiaries of the colonial government, but it turned out to be all the more violent when the people, who had no private axe to grind, took up the cudgel to fight it out. Arabinda Samanta is Professor of History at the University of Burdwan, West Bengal. A prolific writer on the social history of epidemics and medicine in colonial India, he is the author of Malarial Fever in Colonial Bengal: Social History of an Epidemic (2002); and co-editor of The Revolt of 1857: Memory, Identity, History (2009); Life and Culture in Bengal: Colonial and Post-Colonial Experiences (2011) and Research Methodology in Social Sciences: Emerging Trends (2012). He has been a Visiting Fellow at ZHCES, Jawaharlal Nehru University, New Delhi (2002), Wellcome Trust Centre for the History of Medicine at UCL, UK (2003), Rockefeller Archive Center, New York, USA (2011).